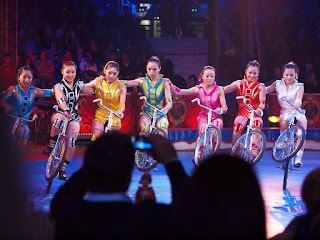 The talented Chinese girls of the Troupe Acrobatique de Dalian. They were awarded a Silver Clown by the Jury. 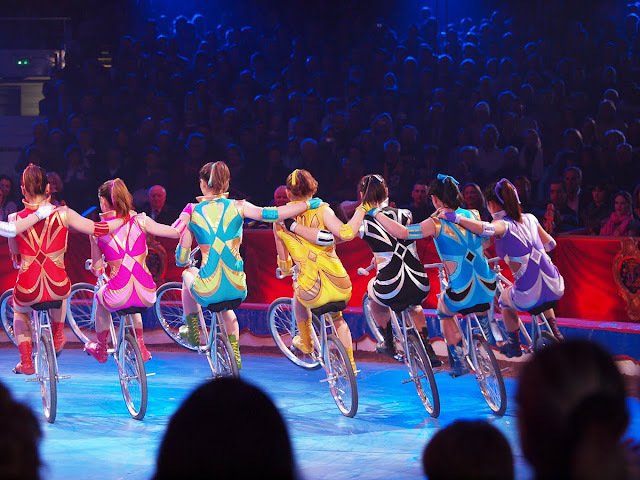 Thank you for taking us to the circus along with you. In the top photo it looks like these girls would rather be riding unicycles instead of bicycles. These acrobats blow me away. We saw one of these shows once and I just couldn't understand how it was possible (well, that's from a klutz's point of view). Beautiful color and clarity in these.